"Sampath Speaking" - the thoughts of an Insurer from Thiruvallikkeni: seizure of 'dulce de leche' adds to the woes of Uruguay's fortunes !! seizure of 'dulce de leche' adds to the woes of Uruguay's fortunes !! Uruguay is a country in the southeastern region of South America. It is bordered by Argentina, Brazil and the Atlantic Ocean; with its capital and largest city being Montevideo. With an area of approximately 176,000 square kilometres (68,000 sq mi), Uruguay is geographically the second-smallest nation inSouth America after Suriname. The 1930 FIFA World Cup was the inaugural FIFA World Cup, the world championship for men's national association football teams. It took place in Uruguay in July 1930. FIFA, football's international governing body, selected Uruguay as host nation, as the country would be celebrating the centenary of its first constitution, and the Uruguay national football team had successfully retained their football title at the 1928 Summer Olympics. All matches were played in the Uruguayan capital, Montevideo, the majority at the Estadio Centenario, which was built for the tournament. The first World Cup was the only one without qualification. Every country affiliated with FIFA was invited to compete, and given a deadline of 28 February 1930 to accept. The resounding wins for Uruguay and Argentina in the semi-finals meant the final was a repeat of the matchup in the 1928 Olympic final, which Uruguay had won 2–1 after a replay. Uruguay were the winners. Now in FIFA 2014, they play the crucial match against England. Not good news for their fans, as Uruguay captain Diego Lugano has been ruled out the clash against England with a knee injury. The 33-year-old, who spent last season at West Brom before being released, has been prevented from training properly by a pain in his left knee, according to a statement from the Uruguayan Football Association. Uruguay are looking to improve upon their previous outing in their opener against Costa Rica, going down to a 3-1 loss, while England are in an equally precarious position in Group D having been beaten by Italy by the odd goal in three. If either team should lose it would all-but seal their World Cup fate. Away from the field too, their faltering tournament took another sour turn when it emerged Tuesday that Brazilian health authorities had seized 39 kilos (86 pounds) of ___________ from the team. It is ‘Dulce de leche’m a South American confection prepared by slowly heating sweetened milk. Literally translated, it means "candy of milk". It is popular in Latin America, notably in Mexico, Paraguay, Peru, Argentina, Chile, Uruguay, Brazil, Colombia, Bolivia and Venezuela. The product is a favourite of members of the Uruguay national football team. Brazilian officials say they confiscated 39kg (86lb) of caramel spread from Uruguay's football team as it arrived in Brazil for the World Cup. The spread, called dulce de leche, is extremely popular in Uruguay but the Brazilian authorities said that as it was made with milk, it needed sanitary documentation which was lacking. Some fans are already blaming Uruguay's shock 3-1 defeat to Costa Rica on the lack of dulce de leche. The dulce de leche was seized from the team after it landed at Confins airport near their training camp in Sete Lagoas. Uruguay fans fear their team has been thrown out of kilter due to the lack of dulce de leche; deprived of dulce de leche, Uruguay fans have had to resort to other sweets. 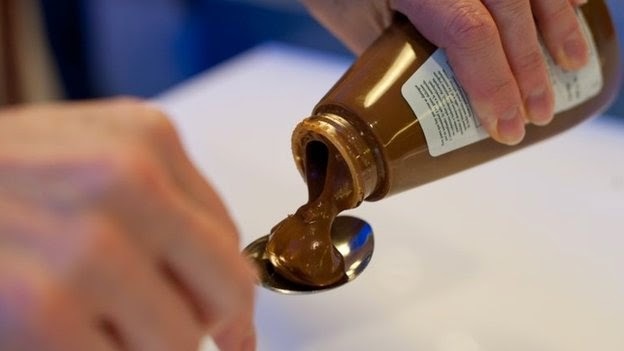 An official with the Brazilian agriculture department told Reuters news agency that the Uruguayans could have the dulce de leche back "as soon as they can produce the necessary documents". "Or they can pick it up on their way out of Brazil," the official added. It is not clear if one person carried the entire 39kg-stash or if the jars of the popular sweet paste had been distributed between the players. 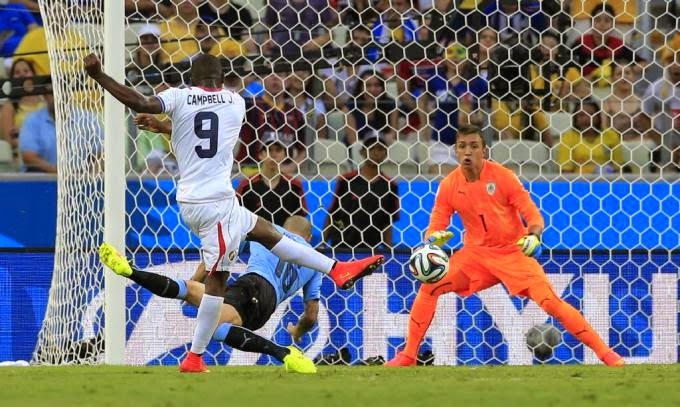 Former Uruguay goalkeeper Juan Castillo said the team had also taken dulce de leche to the World Cup in South Africa, where they had not had any problems at customs. For the moment, it appears that the inaugural tournament Champion is having problems on and off the field.